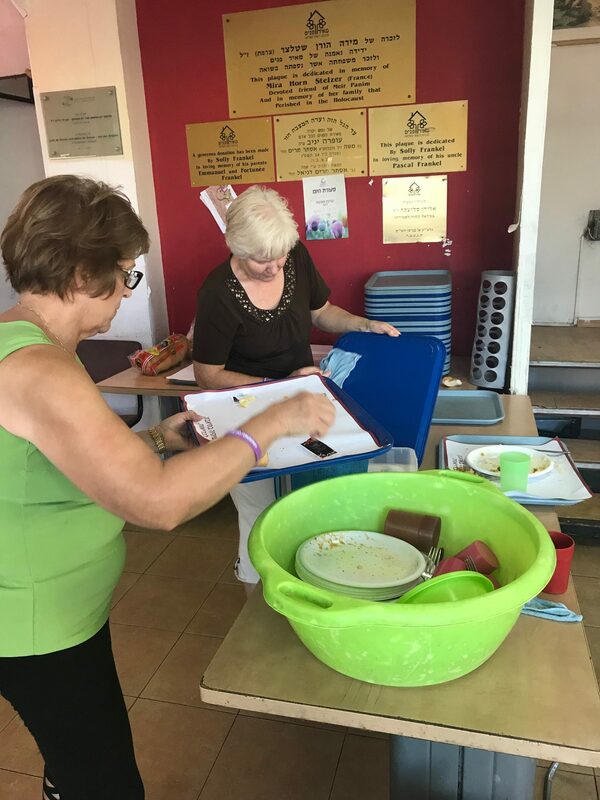 This afternoon a lovely group from Nova Scotia, Canada volunteered at the Meir Panim Jerusalem Branch. 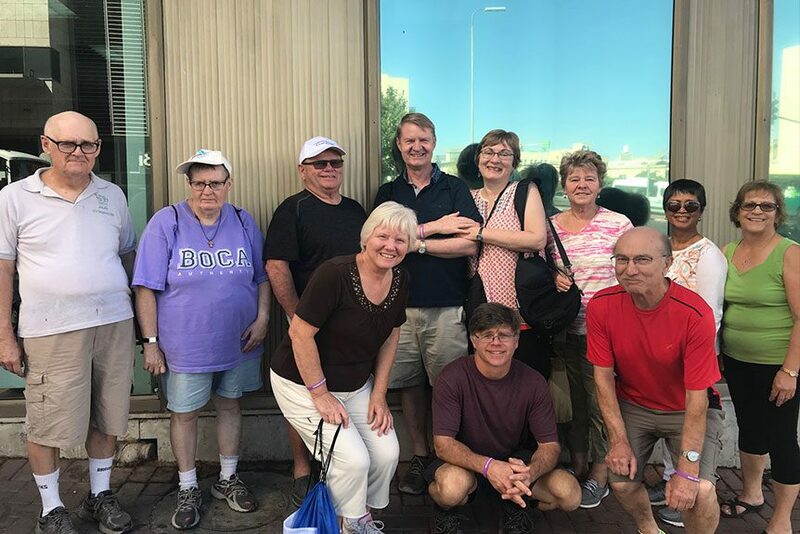 For some in the group this is their first trip to Israel, and others their 5th or 6th trip, but they all agreed that Israel is an incredibly special destination and they are honored to be here. The day started at their hotel in the downtown area of Jerusalem, where we discussed Meir Panim, our work and our mission, and we then headed to the Machane Yehuda market to see and taste the bounty, and purchase fresh produce and pantry staples for Meir Panim clients, and some special items to bring back home. 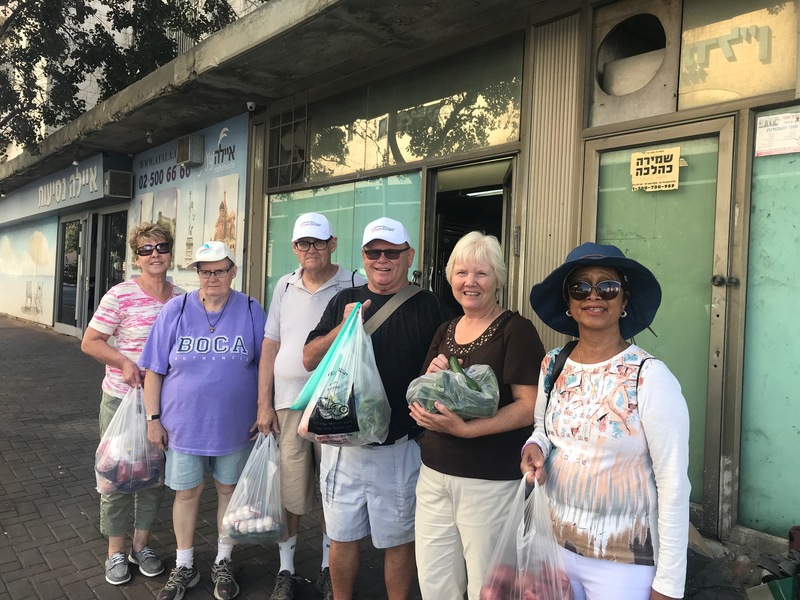 We continued up Jaffa street to the Restaurant Style Food Centre where the group greeted clients and served lunch. 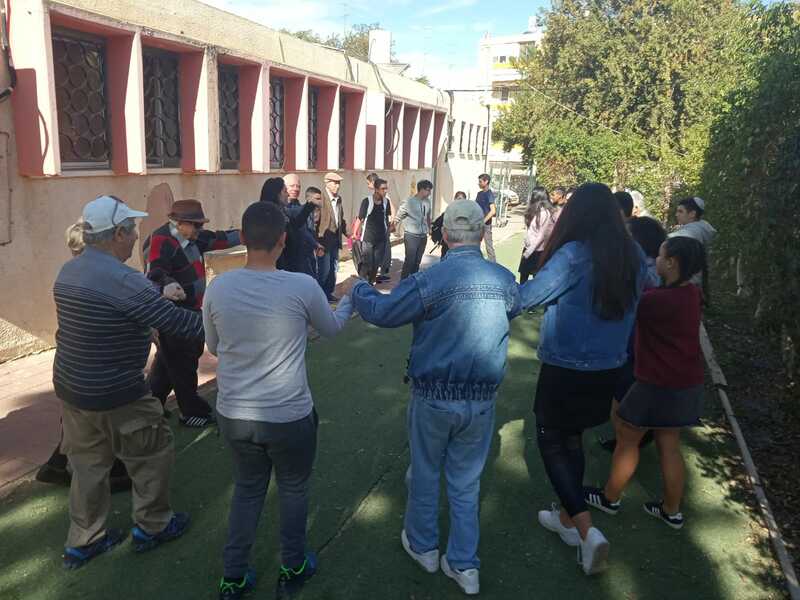 The group loved being able to integrate community service in their trip, and with their last day in Israel tomorrow, feel like this is a wonderful way to say Shalom and L’hitraot (see you soon).